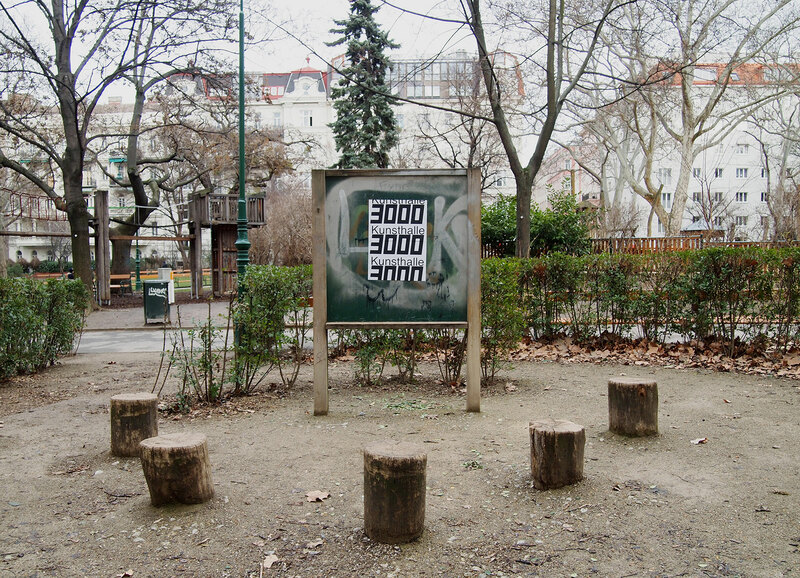 From March till June 2016, Kunsthalle3000 was located in the Alois Drasche Park in the 4th district of Vienna. 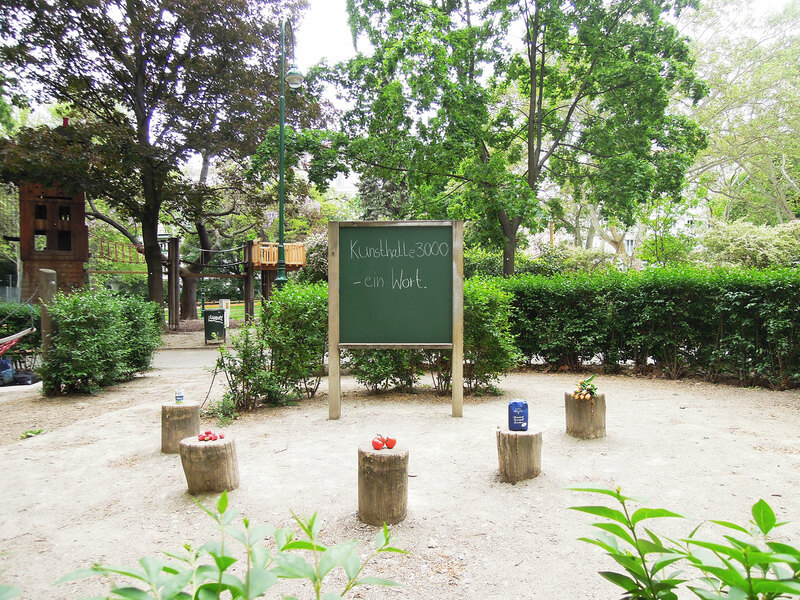 During the 8-day exhibition a pizza was delivered to Kunsthalle3000 everyday at noon and left behind on one of the wooden stools. A Telling Exhibtion by the French curator Sophie Lapalu about the artist / cabdriver Jeffrey Perkins: For twenty years Perkins worked as a taxi driver in New York. From 1990 to 2000 he recorded his conversations with the passengers, after asking them for permission to do so. In her Telling Exhibition, Lapalu compiled these interviews with songs by Johanna Viprey who used Perkin's material as a source for a new musical interpretation. 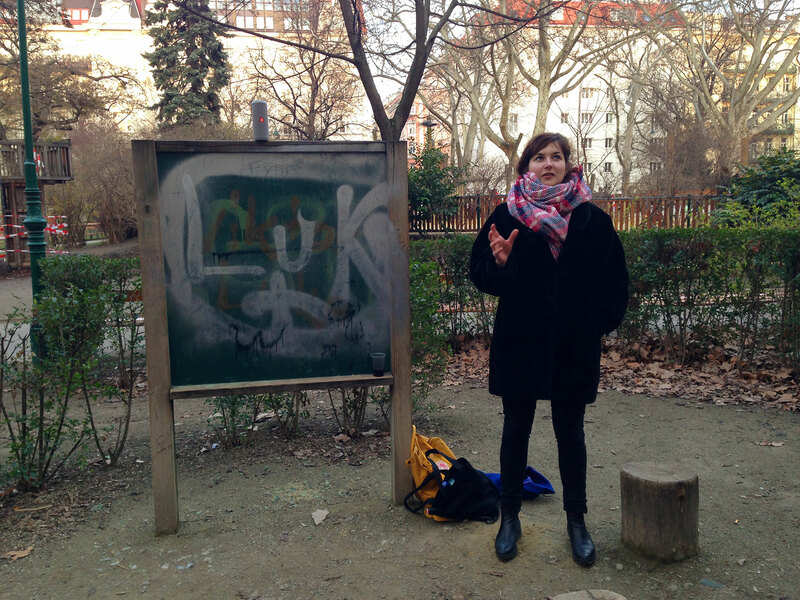 A reading performance by Hana Miletiç performed by Vid Jeraj. 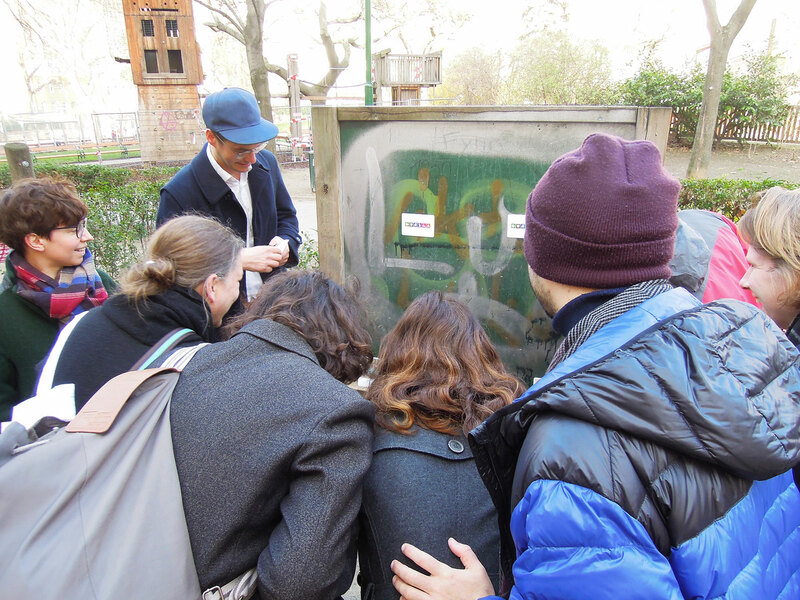 The text is based on a collection of photographs that Hana Miletiç has made over the years of amateur graffiti on the city walls in Zagreb. 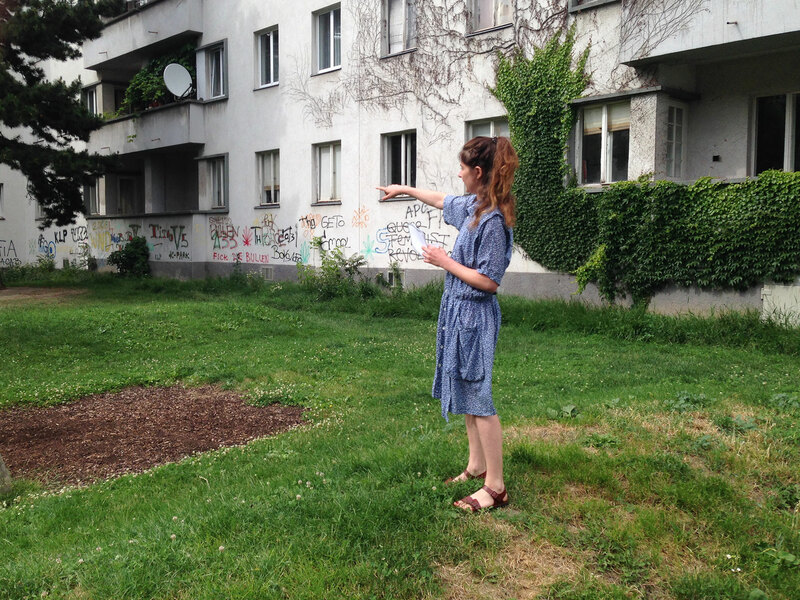 By isolating these ‘writings on the wall’ from their usual environment Miletić is able to amplify the poetic wordplays and aphorisms that are hidden behind the messages. 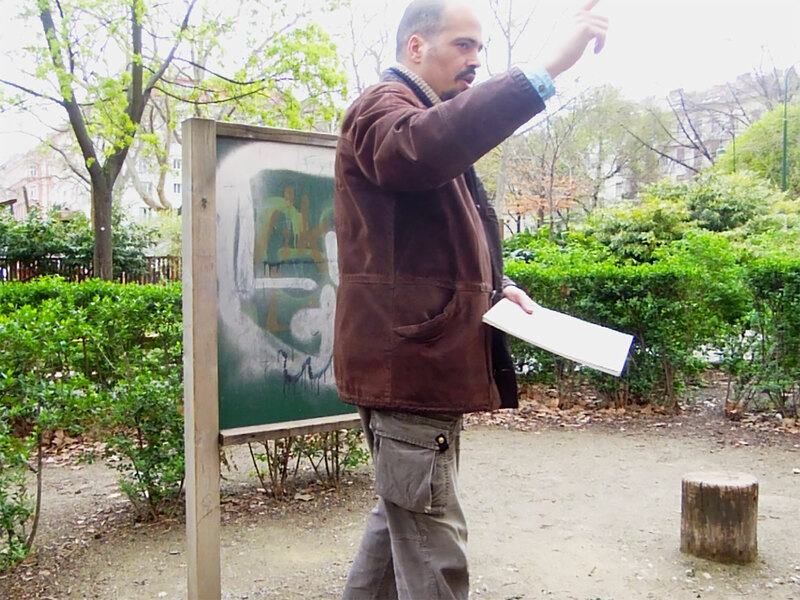 Albert Allgaier presented Cinema Shiro, an international filmfestival dedicated to a single movie: a monument to a virtually unknown director which enfolds in the ephemeral setting of the movie screening frame by frame. Truly expanded cinema, one might say. 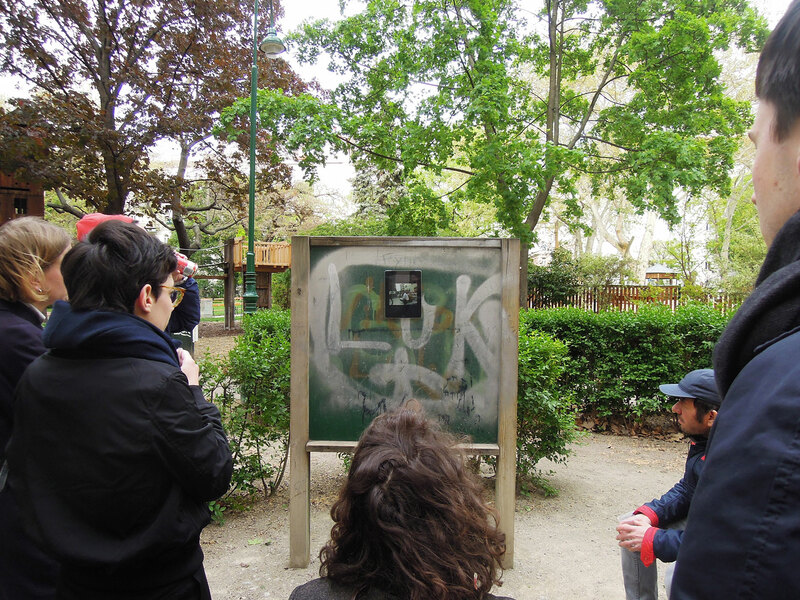 A stite-specific installation by the Swiss artist Eric Hattan: After repainting the black board a puzzle is posed to the random spectators at an undisclosed date. 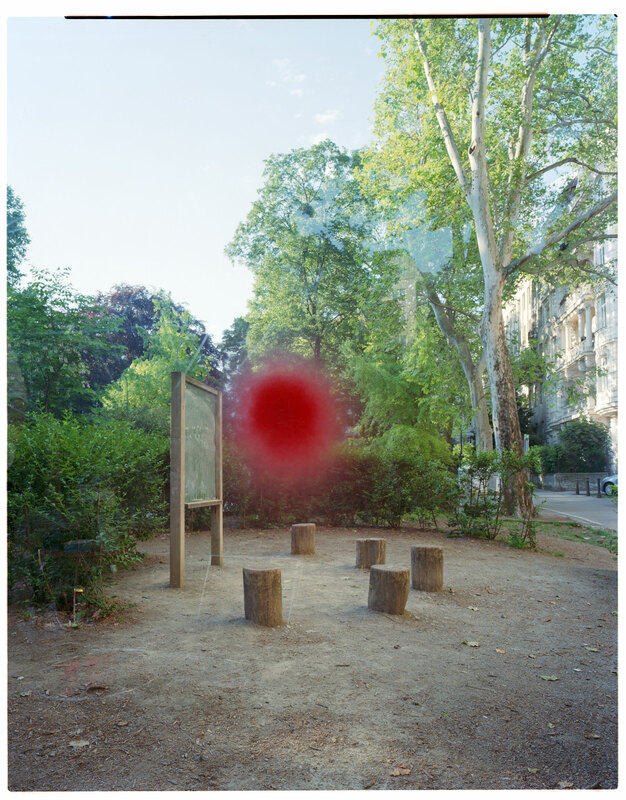 A site-specific production by Antoine Turillon: In the early morning of May 28 a photograph was taken from a photogenic happening in the Kunsthalle3000. Many thanks to Georg Petermichl for the support. 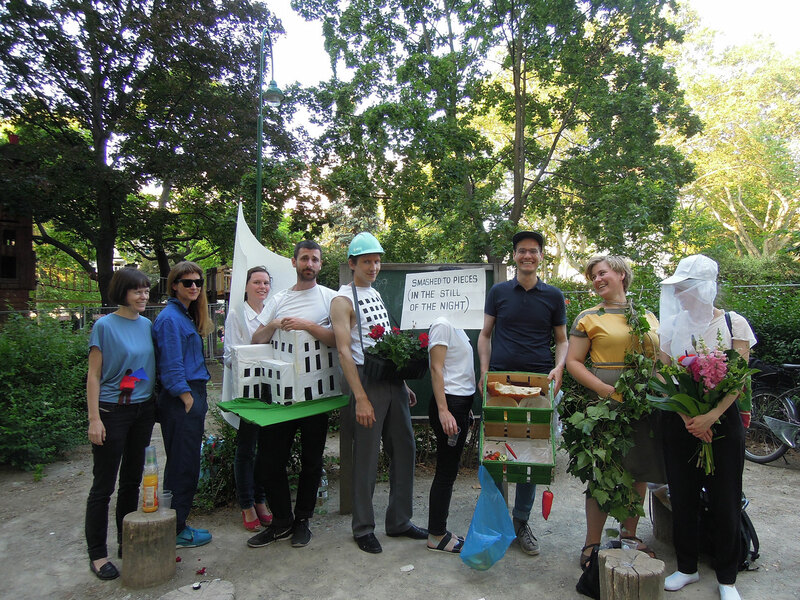 Dress up as your most favorite viennese building and join in for the 1. Viennese Architectureball. 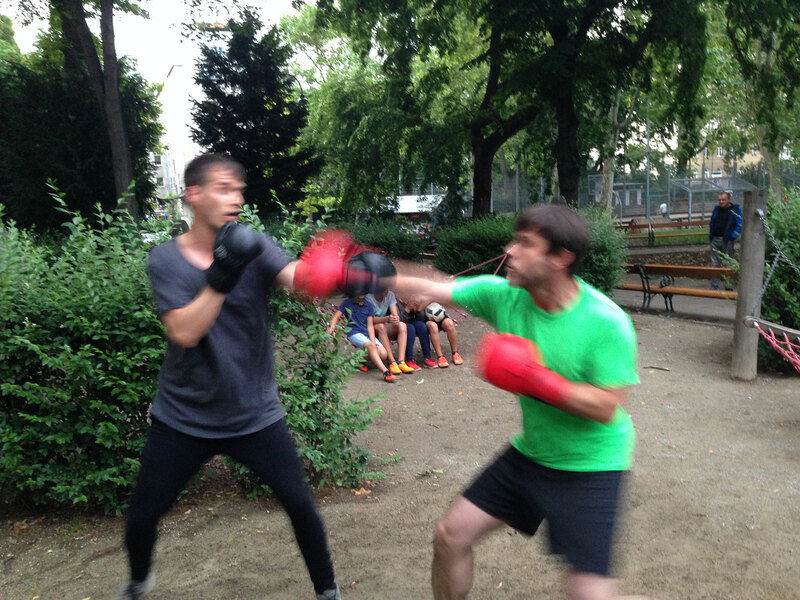 For the final event in Vienna, Kunsthalle3000 was challenged by Kunsthalle Tropical from Iceland to a box fight. After months of training and preparation the 2 were ready to enter the ring.